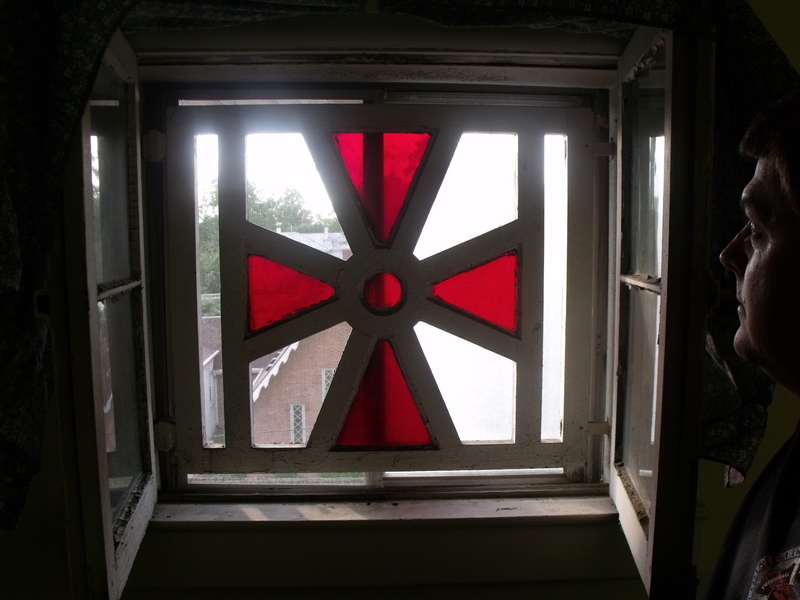 Freemasons have long used symbols associated with the Knights Templar, such as this Templer Cross seen in a window. 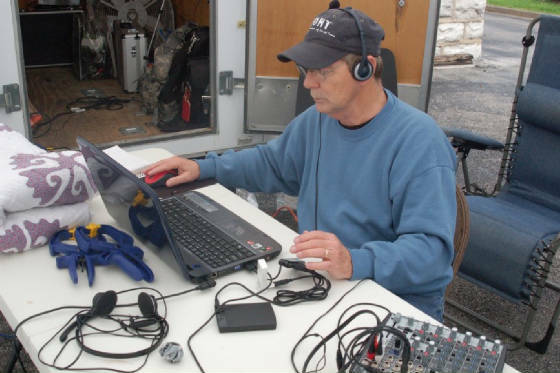 The lodge was very active that day and later on Henry's radio show we would share what we found in the daytime with all the listeners on Para-X radio! 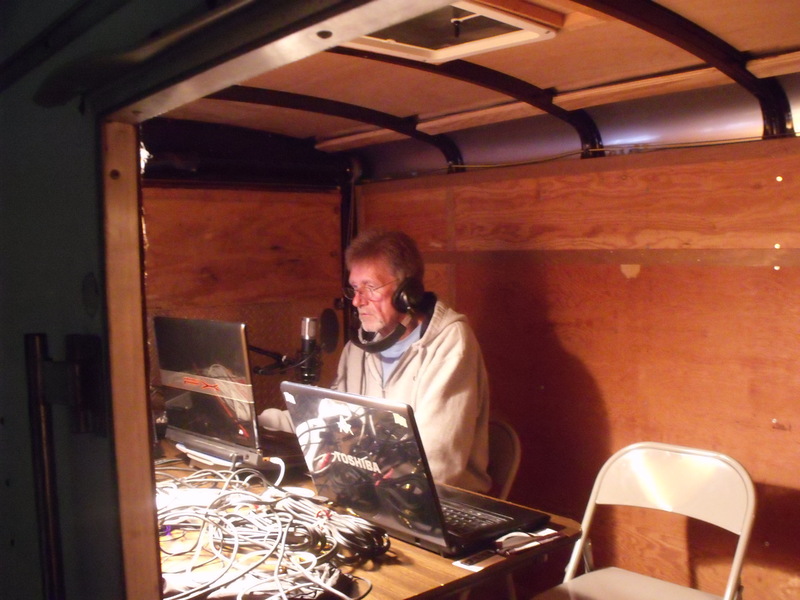 We were very fortunate to have the opportunity to not only meet Henry Foister, but to be on his show again, during our live broadcast! 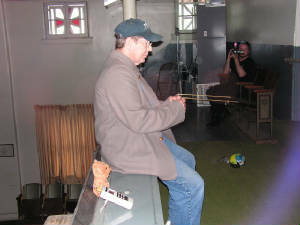 But what Doug and I enjoyed just as much as being live with Henry, was bringing Henry along on our investigation and making him and JC and Bob the investigators, so everyone could enjoy the paranormal. Henry and Col. Chamberlain yuk it up for the cameras! Dave and Scott had tons of gear to set up, but we made sure they took time out to laugh a bit. 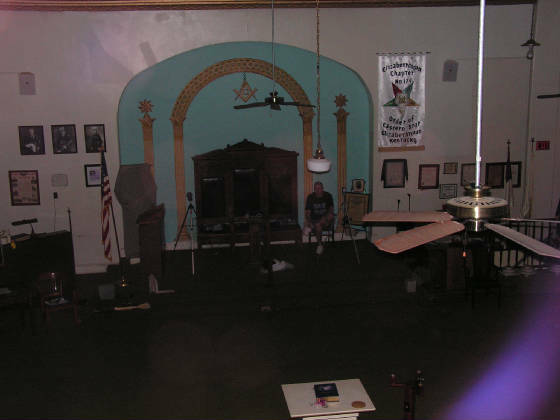 THANKS TO MORRISON MASONIC LODGE F &AM #76 IN ELIZABETHTOWN FOR ALLOWING US TO INVESTIGATE THIS HISTORIC SITE. 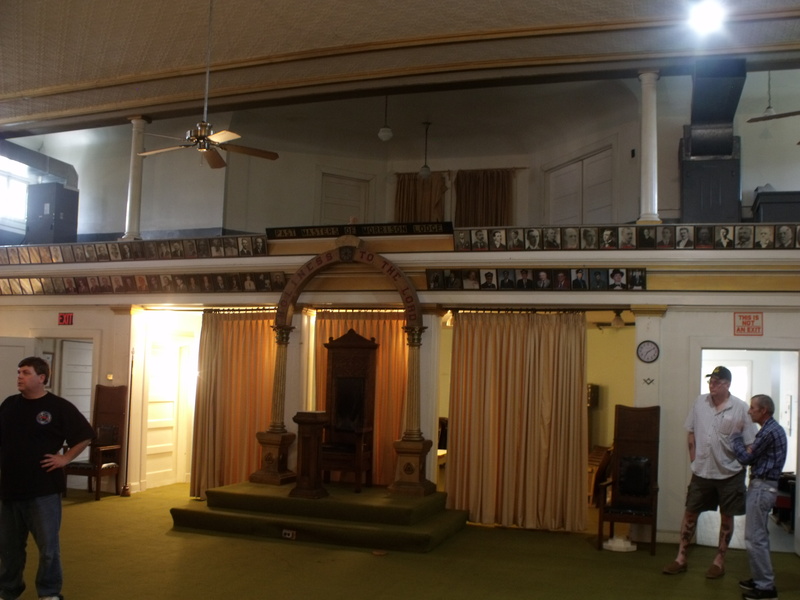 JC AND SCOTT GET THE GRAND TOUR FROM JC'S DAD, BILL WHO IS A MEMBER OF THIS LODGE AND HAD SOME STORIES OF HIS OWN. 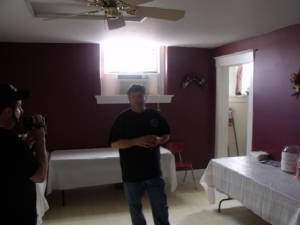 THIS IS A GREAT BUILDING IN A HISTORIC TOWN AND WE WERE HONORED TO BE ABLE TO HAVE FUN DOING WHAT WE LOVE TO DO, TALK TO SPIRITS. RIGHT OFF THE BAT SOME MAN MADE HIS PRESENCE KNOWN AND SAID HE WAS BOB. HE WOULD SHOW UP ALL NIGHT. THEN I RAN INTO A GIRL WHO TOLD US HER NAME WAS ABBY. 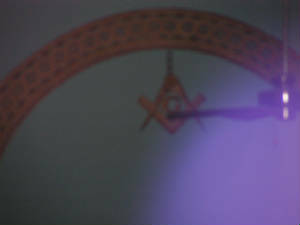 BELOW YOU WILL FIND SOME OF THE EVPS WE GOT AT THE LODGE. 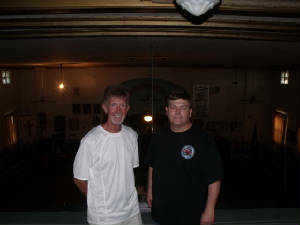 TAKEN FROM THE BALCONY OF THE MORRISON MASONIC LODGE, DAVE JONES (LEFT) AND JC LANFORD (RIGHT) WERE TWO OF THE PEOPLE RESPONSIBLE FOR BRINGING GHOST SOLDIERS TO KENTUCKY AND SETTING UP WHAT TURNED OUT TO BE A GREAT EVENT WITH LOTS OF ACTIVITY! WE MET A SMALL GIRL SPIRIT IN THE BALCONY AND WHEN BOB ASKED HER TO TELL US HER NAME WE GOT AN EVP THAT SAID "ABBY". A NAME THAT HAD BEEN GOTTEN BY ANOTHER TEAM INDEPENTLY. 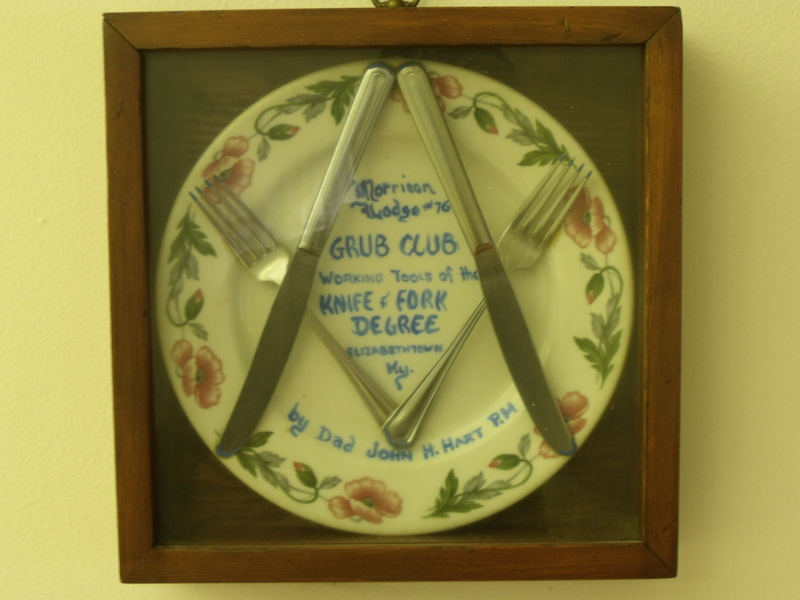 CHECK OUT SOME OF THE OTHERS BY CLIKCING ON THE PHRASE. 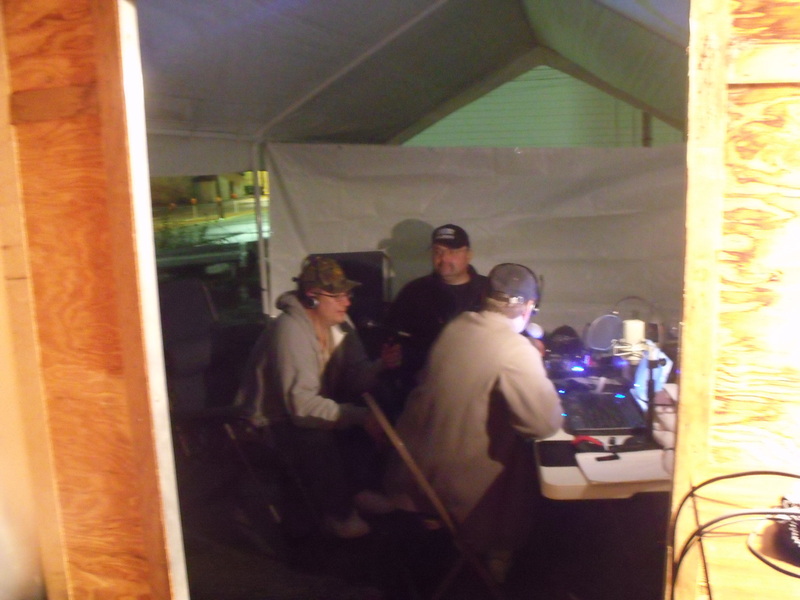 THIS WAS A REAL TEAM EFFORT WTIH HENRY FOISTER HELPING OUT AND BOB NICHOLS SHOWING US THAT DOWSING RODS HAVE A PLACE IN AN INVESTIGATION. 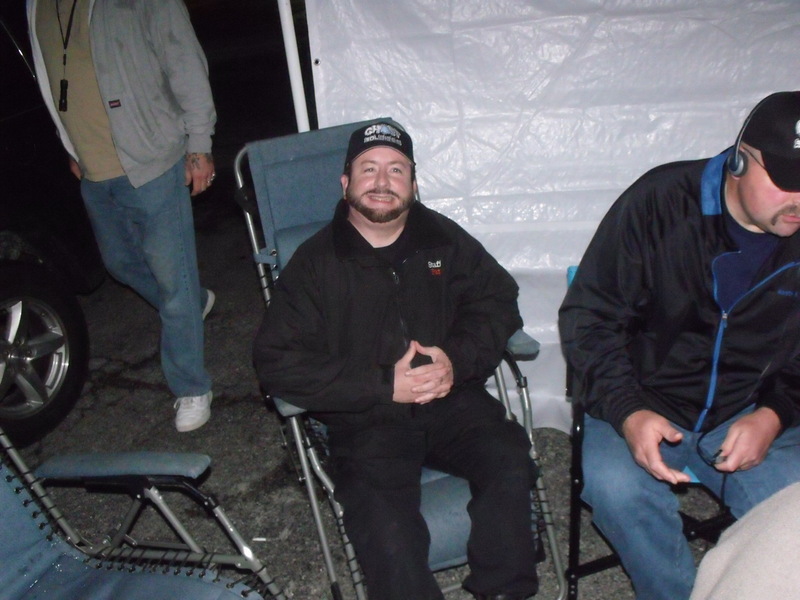 SCOTT LADRIGAN WAS ALSO ALONG ON OUR ADVENTURE AND WE ENJOYED HAVING HIM STAY IN OUR "STAR" TRAILER!!! LOL. We are currently going over 40+hours of video and stills, not to mention the 12 hours of live video we recorded! Please be patient, although I can tell you now, this place is active. On a scale of 1-6, this place would rate a 5! THANKS TO EVERYONE WHO WATCHED FROM AROUND THE WORLD, THIS WAS FOR YOU GUYS!